Underlying the exhibition project Stuttgart Sichten (Viewing Stuttgart) are the highly topical questions of how museums deal with their collections today, how they can innovatively present them, and how to successfully balance traditional methods of art education with contemporary formats of presenting art to spark curiosity. The Deichtorhallen Hamburg, still a relatively young exhibition venue but with many years of experience presenting a wide variety of private and public collections in major exhibitions, and the Staatsgalerie Stuttgart, with its 175-year tradition of collecting, have found a provocative response with the exhibition Stuttgart Sichten: a sculptural total work of art, an overarching presentation with sculptures as artistic material by the artist Florian Slotawa (*1972), which can also offer an overview of the development of sculpture across various periods. The artist was given the opportunity to select works from the sculpture collection of the Staatsgalerie Stuttgart and to present them in a new light across 3,000 square meters of exhibition space at the Deichtorhallen from 26 October 2018 to 20 January 2018. Almost no other artist has such a keen sense of how to deal with art collections as Florian Slotawa, who was born in 1972 in Rosenheim, studied in Munich and Hamburg, and has exhibited at venues including MoMA PS1 in New York (2009), the Arp Museum Bahnhof Rolandseck (2012), and the National Galerie at Hamburger Bahnhof in Berlin (2014). For nearly twenty years, the Berlin-based artist has pursued performative strategies in his sculptural work. 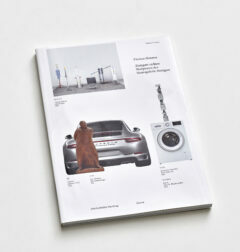 Florian Slotawa plans to develop the presentation in Hamburg from different perspectives, including presenting sculptures on their own, bringing them into exciting dialogues with one another, sorting them according to a certain order, combining them with everyday objects, and—as in the case of the Picasso ensemble of the Bathers—recreating them. Slotawa’s seemingly improvised yet precisely positioned, careful arrangement of the sculptures makes it possible to see art and its relationship to the everyday world in a new light. In the end the question always remains: What can still be considered sculpture? A question that should be asked especially when engaging with contemporary art. The exhibition is a collaboration between the Deichtorhallen Hamburg and the Staatsgalerie Stuttgart. Kaum ein Künstler versteht so feinsinnig mit dem Thema Kunstsammlungen umzugehen wie der 1972 in Rosenheim geborene Florian Slotawa, der in München und Hamburg studiert hat, und u.a. im P.S.1 MoMA New York (2009), im Arp Museum in Bad Godesberg (2012) oder im Hamburger Bahnhof (2014) Einzelpräsentationen ausgestellt hat. Seit fast 30 Jahren verfolgt der in Berlin lebende Künstler performative Strategien in seiner bildhauerischen Arbeit.